TEDxDonMills is a community-centric TEDx event. It is a platform, a stage, a venue for dialogue, ideas, and passions; it is a catalyst for change, action, and inspiration. On Saturday, February 9, 2019, we bring our first event at the world renowned Aga Khan Museum with the theme of Designing Tomorrow. Follow TEDxDonMills on Instagram, Twitter, LinkedIn, or Facebook. Dr. Ali S. Asani, Harvard professor, and Ali Sethi, writer and Coke Studio singer, with Noah Georgeson, Grammy-winning musician and producer, chart the evolution of the love metaphor in Indo-Muslim Sufi thought via the poetry of a range of languages, regions, and eras. This captivating music and poetry event pays tribute to Sufi poets and visionaries including Amir Khusrow, Faiz Ahmed Faiz, Shams Sabzwari, as well as to humanist and mystic Moinuddin Chishti, who preached devotion to humankind as a pathway to the divine. Join Diaspora Dialogues and for a Literary Walking Tour through the Aga Khan Museum led by poet and author Sheniz Janmohamed and Aga Khan Museum Educator Laboni Islam. “Caravans of Gold” is the first major art exhibition to address the global reach of West Africa in the medieval period. The exhibition will open at the Northwestern Block Museum of Art in January 2019 before traveling to the Aga Khan Museum in Toronto (Fall 2019) and the Smithsonian’s National Museum of African Art in Washington, D.C. (Spring 2020). The exhibition “Ideals of Leadership: Masterpieces from the Aga Khan Museum Collections” features a selection of miniature Islamic paintings and artifacts lent by the Aga Khan Museum in Toronto. The stories illustrated in the images and conveyed by objects make reference to some of the most important and timeless ideals of leadership to which rulers have aspired over time. As part of its diverse program of culturally enriching experiences, the Aga Khan Museum is pleased to welcome Sri Lankan-born chef Shen Ousmand of the McEwan Group to Diwan Restaurant. Chef Shen brilliantly blends his rich culinary heritage with his experience to make fine dining a social event at Diwan. To shape his new menu, he called upon his formative years in Sri Lanka as well as two years catering the museum’s private events. Caught between the desire to maintain time-honoured local traditions and the increasing need to engage with ever more pervasive outside influences and currents of innovation, Transforming Traditions: The Arts of 19th-Century Iran tells powerful stories through artworks created under the Qajar dynasty between 1785 and 1925. For our 4th Annual Lecture, join us as we welcome internationally renowned artist and global thinker, eL Seed, as he talks to us about his personal experience during his public art projects all around the world and how art became a pretext for amazing human experiences. From the streets of Paris and New York, to the Favelas of Rio De Janeiro and the slums of Cape Town, his contemporary approach aims to bring people, cultures and generations together. In a world of increasing division, artist eL Seed presents a rare opportunity to bring people together. A French artist of Tunisian descent, he blends Arabic calligraphy and graffiti (in a style dubbed ‘calligraffiti’), creating mesmerizing large scale public murals that transcend borders, language and culture. And in a one-day exclusive engagement, he will bring his global insight to the Aga Khan Museum and share his experiences of using art to bridge perceived divides. Jahangir was a very fancy man, even for an emperor. In the many portraits of him commissioned during his reign, the 17th-century Mughal ruler is rarely depicted without a neck full of pearls and jewelled pendants, a turban adorned with emeralds and rubies, and a gilded sword by his side. One such painting greets visitors to Emperors & Jewels, an exhibition at Toronto’s Aga Khan Museum that explores the Mughals’ spectacular traditions of adornment. The exhibit (which runs through Jan. 27) focuses on the Mughals, warrior-kings who ruled India from the 16th to 19th centuries, and the complex, codified ways they decorated themselves. It also offers lessons for men looking to introduce jewellery to their wardrobes in 2018. The Aga Khan Museum invites guests to a performance featuring tabla master Pandit Anindo Chatterjee and his son, Anubrata, who will summon centuries of their musical lineage dating back to the Mughul era. Toronto-based harmonium player Hardeep Chana will accompany the duo, and local trio Near East and special guest vocalist Shirshendu Mukherjee will open. 7 pm. $30-$40. Waddington’s is proud to host this online auction in support of the Aga Khan Museum’s Lapis Gala in Toronto. Join scholar, art advisor, and curator Dr. Layla Diba as she deconstructs what "East and West" meant during Iran's Qajar dynasty. Making connections to the Aga Khan Museum’s Permanent Collection, she provides an illustrated exploration into royal images, landscapes, and photographs that help contextualize this remarkable era. 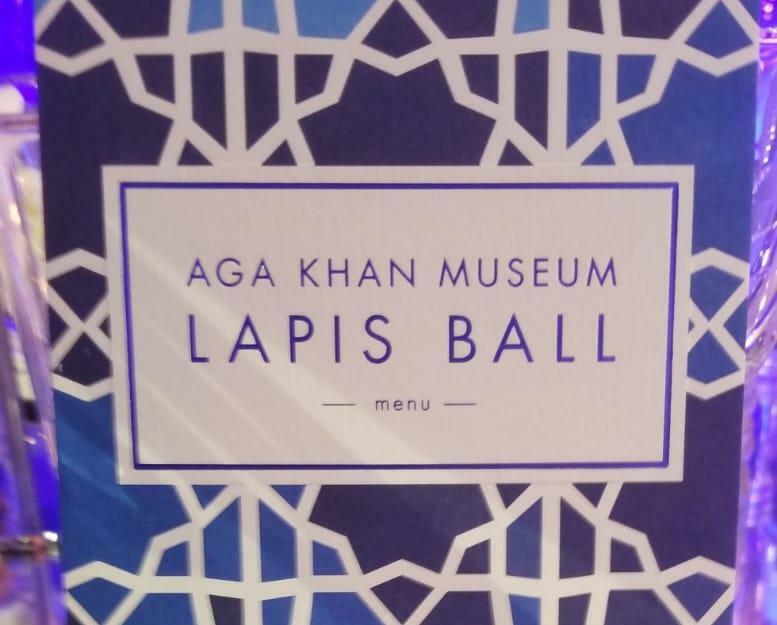 2018, September 21: PRIVATE EVENT: Prince Amyn Aga Khan, brother of Mowlana Hazar Imam, attends the Aga Khan Museum Lapis Ball this Friday, September 21, 2018 in Toronto, Canada at 6pm. Reception, Performances, Dinner Black Tie and Traditional Dress. Alex Kavanagh, President of The Canadian Alliance of Film & Television Costume Arts & CaftDesign (CAFTCAD) and Joanna Syrokomla, Chairman of the event, are delighted to announce that the CAFTCAD Awards will take place on Sunday, February 10, 2019. The venue for the awards will be the Aga Khan Museum in Toronto. “The Aga Khan Museum houses rare masterpieces of textile, colour, and art, and its vast collection mirrors the quality of artistic design we will be celebrating at the CAFTCAD Awards. The glass jewel box of the atrium with its dramatic nighttime lighting will be a perfect showcase for the nominated costumes on display for our guests, while the intimate auditorium brings a warmth to the evening’s award show,” said Syrokomla. All-night celebration of art, storytelling, comedy and music performances by Javid Jah, Simin Keramati, Bernice, Ziibiwan, Narcy, Pantayo and Obuxum that will illuminate the cross-cultural interactions that shape Toronto. Sep 29 from 7 pm-7 am, Sep 30. Free. Coverage of AKM on Breakfast Television. Frank is live at the Aga Khan Museum in North York learning more about the paintings and items featured. On September 22–23, 2018, Patrons' Circle supporters of the Aga Khan Museum came from around the world to attend our second annual Patrons' Appreciation Days. During these two days, Patrons participated in a number of exclusive activities and events, including behind-the-scenes talks, lectures with special guests, intimate performances, excursions, and the celebration of the opening of our newest exhibition, Transforming Traditions: The Arts of 19th-Century Iran. 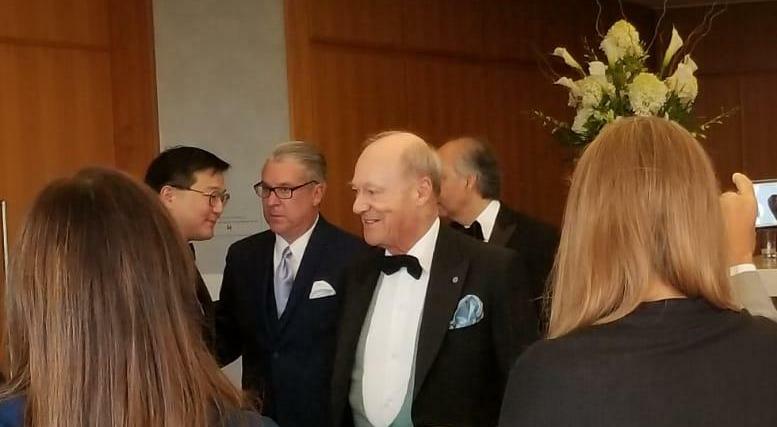 The Patrons’ Circle supporters of the Aga Khan Museum are a highly engaged group whose invaluable generosity profoundly impacts the Museum’s mission to connect cultures through the arts through our exhibitions, performing arts series, and education programs. Harnessing the collective wisdom and experience of thought, business and change leaders, Time to Grow (TTG) is a leadership and knowledge sharing conference that will stimulate how we think about different aspects of our lives. Focusing on our personal and professional leadership, this event is designed to share perspectives that will help us become better at what we do every day. Partly inspirational, partly aspirational and very definitely emotional, our time together will change the way we look at things. The World of Jahanara explores the inner life of Jahanara Akhlaq, a 24-year-old Kathak dancer, who, in her brief life, had fearlessly begun to make her mark in the dance world and envisioned a career in Canada. Rhythmic and lyrical, Kathak is an elegant dance form that revolves around the concept of storytelling. Join Dr. Talinn Grigor as she explores the visual culture of the Qajar and Pahlavi eras. By examining the role historicity played in contemporary Iranian aesthetics and art practices, Dr. Talinn Grigor will open your eyes to a narrative filled with historical truth and myth, shaped by the diverse Iranian diasporas around the globe. Experience both the truths and untruths through the rich and diverse stories of Iranian identity. "I had previously read some of the speeches of His Highness the Aga Khan regarding religious pluralism and interfaith relations. 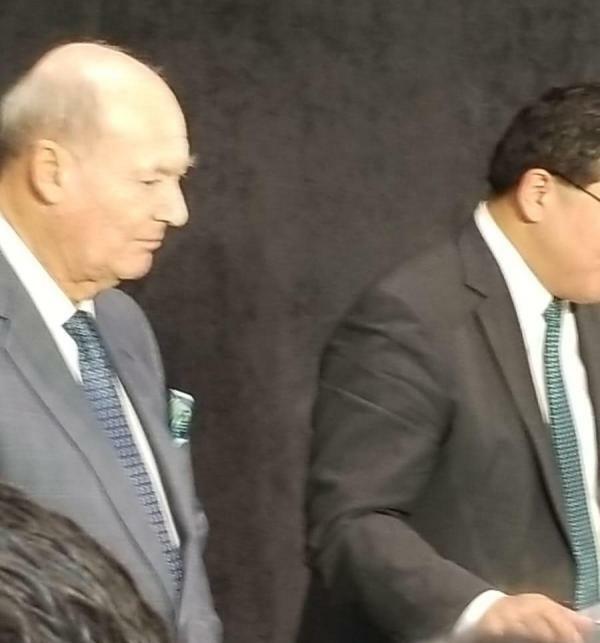 However, visiting the Ismaili Centre in Toronto was a physical manifestation of the Aga Khan's embrace of artistic excellence, modernity, and the search for God." USC's Don Miller, together with Ken Chasen, Senior Rabbi of Leo Baeck Temple in Los Angeles, Samira Saleh, current President of the Pakistan Arts Council of the USC Pacific Asia Museum, and Sarah Sayeed, Senior Advisor in the Community Affairs Unit of the Mayor's Office of New York City and responsible for citywide Muslim engagement and facilitating culturally responsive agency outreach, visited the Aga Khan Museum and the Ismaili Centre Toronto, on the weekend of October 13-14, 2018. They were accompanied by Suraiya Ali and Raheem Haji, from the Ismaili Councils for the Western and Northeastern United States respectively. "We were an odd trio of California guests to the Toronto Centre—a Rabbi, a Sunni Muslim, and a liberal Episcopalian layman," reflects Prof. Miller, adding that "It was obviously the warm embrace of religious pluralism by the Ismaili tradition that honored our differences, while simultaneously enabling us to see our spiritual commonalities and connections." The group was in Toronto to view the Ismaili Centre and the collection of the Aga Khan Museum, where they also attended a concert by Yazz Ahmed, a British-Bahraini trumpet player, jazz musician, and composer, who has released two celebrated albums. She combines electronic effects with music from her mixed heritage to create intoxicating Arabic psychedelic jazz. Special guest Kamancello opened the evening with an improvised performance rooted in traditional cello and kamancheh (a Persian spike fiddle) music. The visitors had an opportunity to meet with Dr. Henry Kim, the Museum's Director and were fascinated by the objects on exhibit as they were given a guided tour. 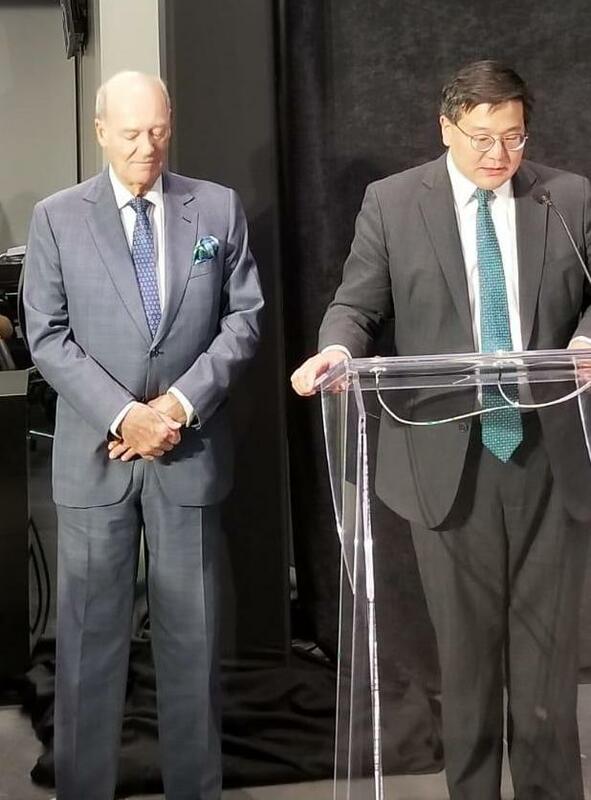 2018, November 22: Toronto, Canada - Prince Amyn attended the celebration in recognition of supporters of the Aga Khan Museum and the Dedication of the Donor Wall 7pm - 10pm. Following the unveiling of the Donor Wall, Artists from Syria, Iran and Greece gave a musical performance in presence of Prince Amyn. 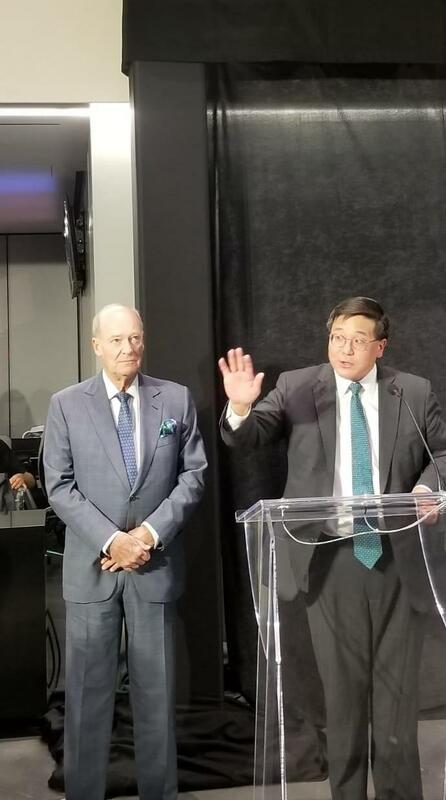 On the evening of November 22, 2018, the Aga Khan Museum was honoured to celebrate our generous supporters through the formal unveiling of our donor wall, hosted by Prince Amyn Aga Khan. The Aga Khan Museum in Canada brings together a selection of masterpieces dating between 1785 and 1925 from the Qajar Dynasty, Iran in its exhibition 'Transforming Traditions: The Arts of 19th Century Iran'. The exhibition is on view on February 10, 2019. The 19th century, in Iran, was a time of significant upheaval and change. The time was marked by the country's engagement with the West, which led to the advent of military, economic, technological, and cultural innovations, blouinartinfo.com reported. The Qajar kings, who ruled Iran from 1785 to 1925, were of Turkmen origin and unified the country after decades of internal turmoil. Apart from adopting new innovations and technologies, they consciously revived local religious and artistic traditions. Their active patronage of Iranian religious customs, poetry, and the arts fostered a new national identity and laid the foundation for a modern nation-state. 'Transforming Traditions: The Arts of 19th Century Iran', tells these powerful stories through artworks created under the Qajar Dynasty. The exhibition, the museum wrote, "speaks of a dynamic, creative and sophisticated country challenged to navigate competing cultural dynamics. Some objects reflect the conscious revival of local traditions and convictions, while others tell of an enthusiastic adaptation of state-of-the-art ideas and technologies. Many of the objects represent a successful fusion of tradition and the latest trends of the time. The exhibition invites us to contemplate how art transforms and is transformed into any society faced with major change. It reminds us that to this day, around the world and here in Canada, artists and craftspeople respond to change in complex ways." The exhibition showcases rare portraits, paintings, lacquerware, photographs, lithographed manuscripts, textiles, and musical instruments, from the museum's own collection as well as loans from a host of prominent international and national collections. A major loan from the Louvre Museum and select items from other institutions, including the Arthur M. Sackler Gallery, the Museum of Fine Arts Houston, the Royal Ontario Museum, and the Textile Museum of Canada are on view at the show. Payvand.com - The Toronto-based Aga Khan Museum has launched an exhibition of Persian art in Qajar era. The exhibition brings together rare paintings, lacquerware, lithographed manuscripts, photographs, musical instruments, and textiles from a host of prominent international and national collections. The Qajar dynasty ruled Persia (Iran) from 1794 to 1925. According to the Encyclopaedia Iranica "The Qajar period is now increasingly recognized as a time of significant change in Persian society. Perhaps the most obvious influence was the impact of Western ideas and technology, which accompanied the diplomats, military and technical advisers, merchants, travelers, and missionaries who flocked into 19th-century Persia. Qajar art, which reflects such influences, has been treated with scant sympathy." This exhibition features masterpieces from the Aga Khan Museum collection alongside a large number of exhibits on loan from the Louvre Museum and other institutions, including the Arthur M. Sackler Gallery, the Museum of Fine Arts Houston, the Royal Ontario Museum, the Textile Museum of Canada, McGill University Library's Rare Books and Special Collections, and private collections. The exhibition entitled "Transforming Traditions: The Arts of 19th-Century Iran" is curated by Ulrike Al-Khamis, Director of Collections and Public Programs and Bita Pourvash, Assistant Curator, both of the Aga Khan Museum. Established in 2014, the museum is an initiative of the Aga Khan Trust for Culture, an agency of the Aga Khan Development Network. The AKM holds one of the largest collections of post-Islamic Persian art in Canada, a major part of which are on display at its permanent galleries.